How Does Cloud Accounting Software and Online Bookkeeping Work? As you may have guessed from our name, Cloud Accountancy is a team of cloud accounting specialists. Equipped with this exciting and powerful accounting software, our friendly team of financial whizzes help businesses manage their numbers and utilise them to plan for a better future. Whether you want to retain more income, streamline your business processes or save time, we can help. 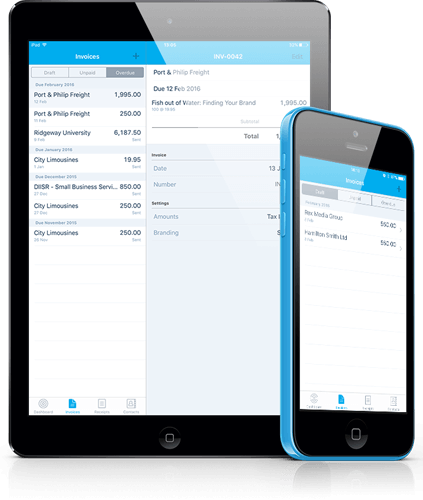 We use Xero’s cloud accounting software to make it happen. It’s the perfect cloud accounting solution for small to medium sized business and, as a testament to the software’s quality, Xero was rated the number 1 most innovative growth company by Forbes in 2015. But how does cloud accounting work exactly and how will it help your business? Every business produces financial data. In the past, it was simply jotted into a notebook or – more recently – recorded on spreadsheets and stored on hard drives. However, times are changing. Thanks to technological advances in cloud computing and accounting software, businesses big and small can now store financial data in the cloud. But why is this helpful? Why should businesses switch to cloud accounting? It’s accurate, fast and loaded with features you can automate and customise, saving you and your team an immense amount of time and money. What’s more, tiered access means that you can make your data accessible to team members and financial advisers with a click of a button. There’s no need to worry about security either. With bank grade protection, cloud accounting software eliminates the risk of loss or theft. Your data is safe, secure and 100% accessible from any device at any time. Are you ready for cloud nine? Are you ready to find out more about cloud accounting and how it can help your business? Cloud Accountancy exists to help local and UK-wide businesses leverage the power of cloud accounting and offers an exceptional range of services. With three core packages, as well as the option of going bespoke, Cloud Accountancy has a solution for every business.